Disney is one of those magical places that lights up your childlike wonder and leaves you glowing for days after you leave the gates. But is going to Disneyland Paris worth it? Especially as a solo traveler? 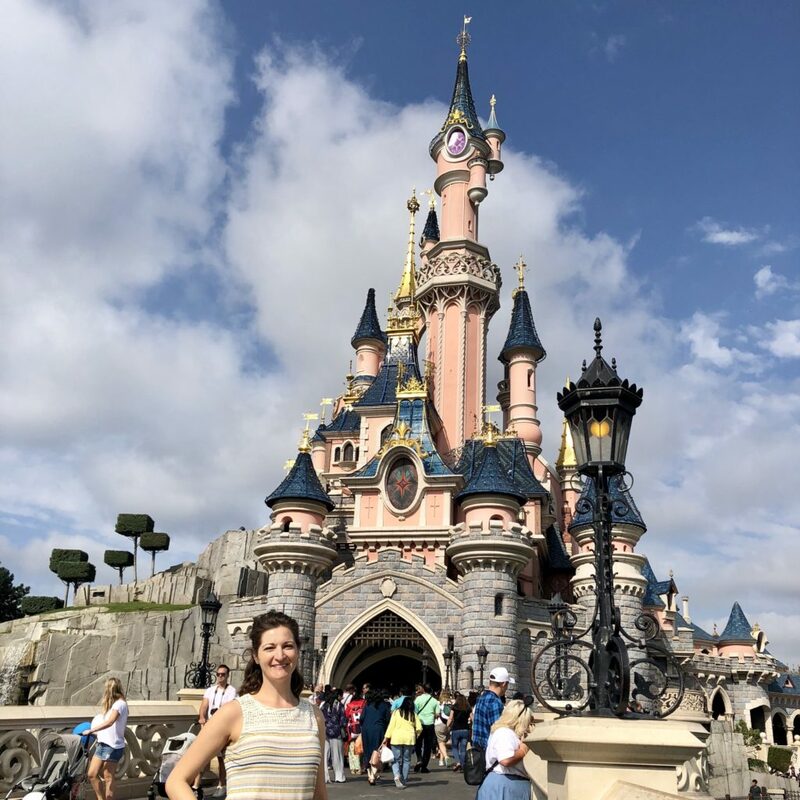 I just visited the park in September 2018 and have some thoughts to share on if Disneyland Paris solo is worth it. I’ve been to Paris a number of times and when planning out my days, I saw I had a whole Tuesday available to do anything. Sure, I could see a museum or go shopping, but I had just been doing that over the past four days I was in Paris. Since we visited Disney World in Orlando just a few weeks ago, I thought a trip to Disneyland Paris would make for a great comparison. Did I feel like weirdo going to Disneyland Paris solo? 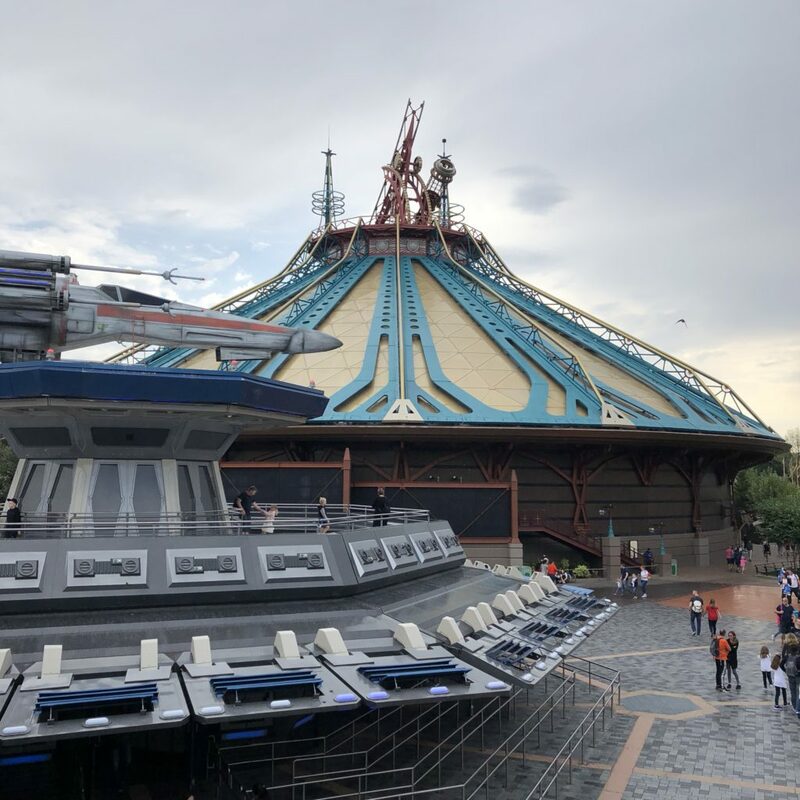 Recap: Is Visiting Disneyland Paris Solo Worth It? The process of buying tickets to Disneyland Paris was very similar to the process of buying them for the Florida park. I went to the Disneyland Paris TripAdvisor page about a week before my intended visit to check out prices. Since I was able to visit during a week day on off-peak season, my ticket to Disneyland Paris to just one park was just $55! I thought that was a steal for a full day of entertainment. I purchased the ticket online and printed it out in advance, which is key. Apparently you cannot buy tickets online the same day you wish to visit the park. I guess that policy is to reward people who plan in advance (yay, Type A!) and to “punish” those late planners who just show up at the gates. The price at the door was closer to $99, but I think that was for both parks. 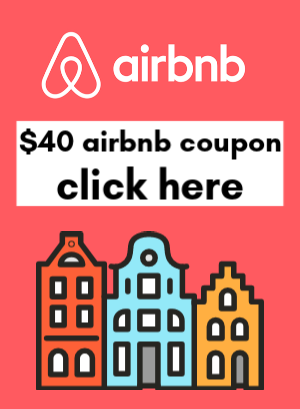 If you buy in advance, you also must print out the ticket; it cannot be presented on a phone or tablet. The entry line to purchase tickets was quite short the day I went, but again, it was on a Tuesday during off-peak season. I dedicated a whole blog post to this topic, but in short, to get to Disneyland Paris take the RER A train from Paris. You can connect to this train, which is more like a commuter rail or regional rail, from the Paris Metro system and from other RER lines (RER lines are names A—E and run to the suburbs of Paris). In my case, I was staying near Gare du Nord. I hopped on the RER B Sud (South) for one stop to Les Halles. From there, I switched to the RER A train towards Marnee-la-Vallee. Tickets each way cost 7.60 Euro and you can either buy single tickets or two tickets at once for your round trip. They are the same price regardless. The trip on the RER takes about 45 minutes to an hour, and it’s a pleasant journey through the towns just outside Paris. When you arrive at Disneyland Paris, it’s the last stop on the line. You exit the station by going up a few flights or stairs or you can take the escalator or elevator. The train to Disneyland Paris runs every 15 minutes or so and seems to be quite reliable. I definitely found it easy to manage. I did see other folks taking ride share services or shuttles from their more local hotels. There is also parking on site if you rent a car for your trip. Before you go to the park, download the Disneyland Paris app. It’s a great resource for learning about ride wait times, where to eat, where the bathrooms are, and times of parades and fireworks. To be honest, my food experience was a little “meh” at Disneyland Paris. I waited in line longer for food than I did at any of the rides, which was surprising. However, they did let me order a kids meal, which was awesome! 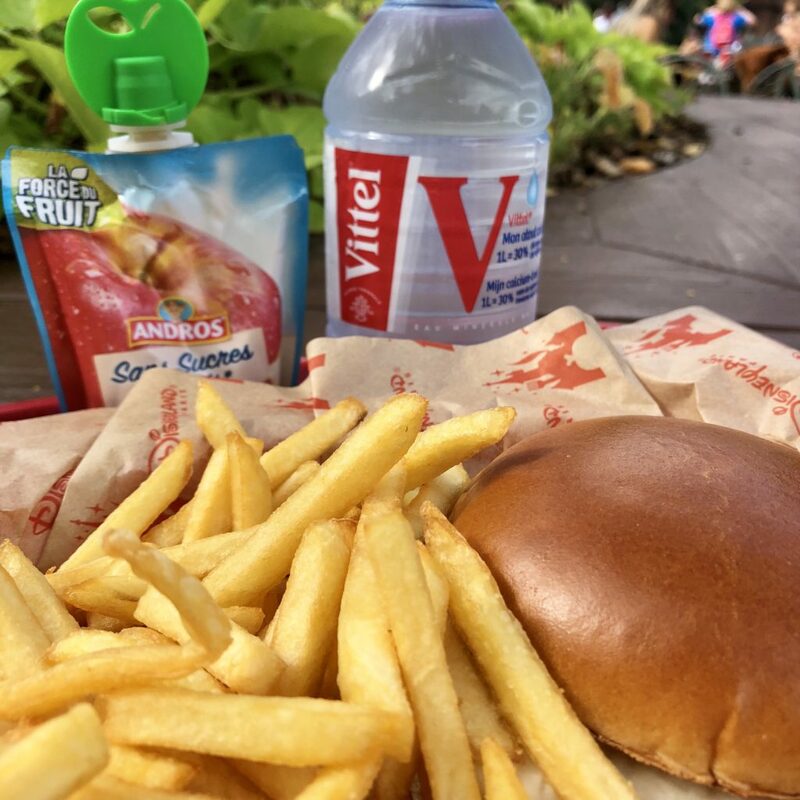 I got the kids chicken burger, fries, applesauce, and a bottle of water for 9 Euro, which was a pretty good deal. The adult meals were 14 Euro or more, depending on what/where you eat. Overall, I loved the rides at Disneyland Paris, and being a solo adventurer allowed me to get on rides very quickly! One thing to note is the rides are a little dark. Like, physically dark and…emotionally dark? They were scary! The Snow White ride was very dark and featured the Evil Queen heavily. Like in almost every scene. So just be aware of that if you do end up going with young children. 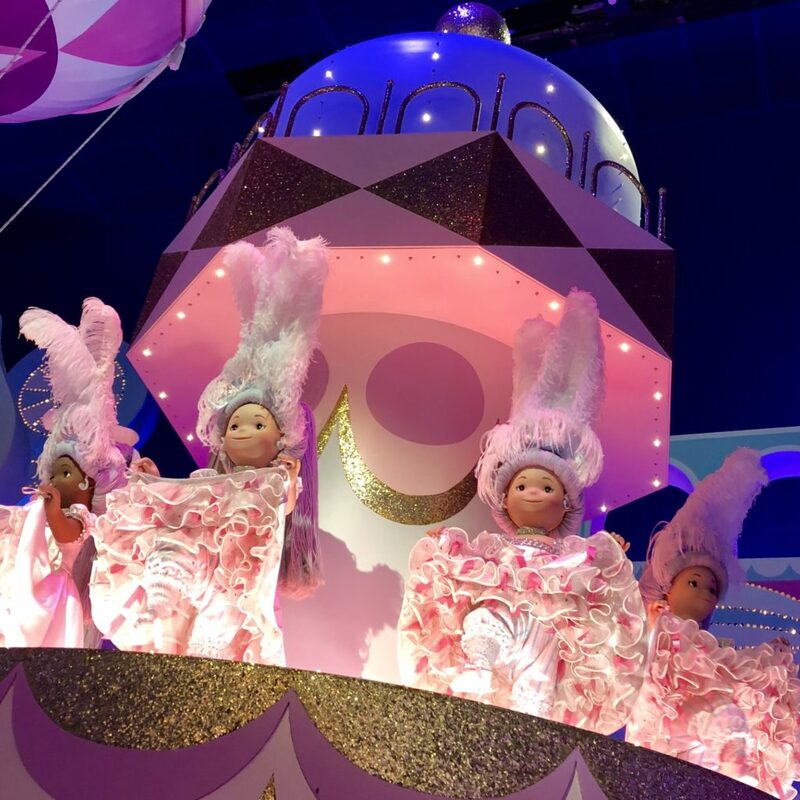 I also loved—like, loved—It’s a Small World. It was longer than the one in Florida, I think. It was also so colorful and fun! The attention to detail on the costuming of each country was outstanding. For example, the French can-can dancers had multiple layers of tulle under their skirts that they lifted up as they danced. And the America scene showed off the Wild West, NYC, and Hollywood. The outside of the ride is also really fun. Every so often the clock doors open and there’s a short show of dolls who go in and out of the clock tower. It reminded me of the clock show in Munich! There is a ride in Disneyland Paris called Star Wars Hyperspace Mountain. It’s meant to be similar to Space Mountain in Florida, but it’s so much better! It’s also in the dark, but this roller coaster is even faster and goes upside down! I was definitely not expecting that! This was probably the best ride of the day, and one that makes the visiting Disneyland Paris totally worth it! Other rides struck out a bit, like the train that goes around the park. It was really slow and definitely not worth a ride unless you have time to kill or are trying to get out of the rain for a long time. I will also note that many things were closed during my visit. The Haunted Mansion was closed, as well as several restaurants and other attractions. The app has a list of everything that is closed at a given time. It made sense that certain things would close during the slow season, but it was disappointing. Since I traveled to Paris alone, I did feel a little awkward about the thought of visiting Disneyland Paris solo. I wasn’t scared about getting there and back alone. I was more conflicted about whether I would enjoy it without a friend or my husband. I noticed on the train that there were a couple other solo travelers on the way to Disney. All women, though! I thought that was funny. I actually had a great day walking around the park solo, and it gave me plenty of time to people watch. I could take as long as I wanted in areas of the park, or totally skip unappealing things. I got through the park very fast; it only took me about 5 hours to see and ride everything I wanted. I thought the park would take a whole day to go through, and I probably could have visited both Paris Disney parks in one day. When you’re alone and don’t have kids you can really zip through the attractions. Overall, yes, it’s worth visiting Disneyland Paris solo. Would I go back again? Maybe. If someone I was traveling with really wanted to go, I would go back. It can be really affordable if you go during the off-peak times, which is good. Including the ticket, train tickets, food, and a few small souvenirs, I probably only spent about $100 for the whole day trip. I think that’s a bargain for a day’s worth of entertainment! You should not feel weird at all about going to Disneyland Paris solo, too! There were other solo travelers, and lots of English speakers to chat with in the lines or to ask to take photos. Nobody around me seemed to think I was weird or out of place. Or at least I didn’t see anyone giving me weird looks like, who is this sad, lonely woman? 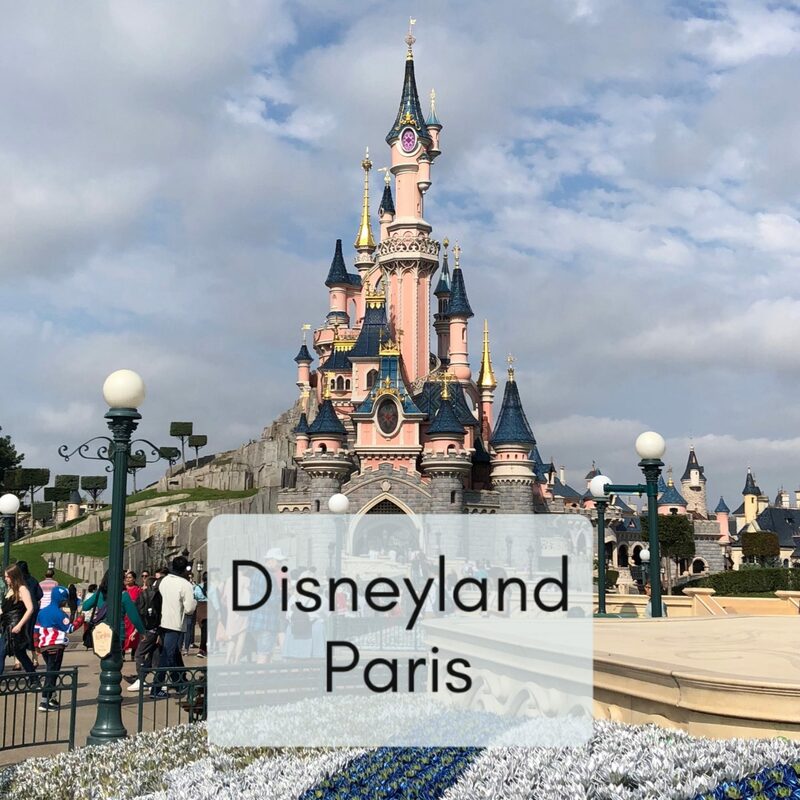 If you have a day to kill near Paris, or want to experience the magic of Disney at way more affordable prices than in America, you should definitely plan a trip out to Disneyland Paris. I hear they are also going to start renovating the park soon, so hopefully we can look forward to more rides and upgraded décor in the near future! If you have plans to visit Disneyland Paris solo, let me know if you have any questions! Wow, that is a bargain! I spend $188 on just my ticket to visit the Universal Orlando parks for one day last month, so $100 for the whole day sounds like a steal. Did you get to ride Big Thunder Mountain? It was closed when I was there, but reliable sources have told me that it’s the best version of that ride out of all of the Disney parks worldwide. No, it was also closed when I was there, which was a bummer. So was the Haunted Mansion. So I need to go back for sure!